My name is Ian Michelson and I'm from Glencoe, IL and am a junior at New Trier High School. The grind of junior year is underway, but in my spare moments of free time I enjoy playing pickup games of basketball and football, jamming on the guitar, or binge watching a show on Netflix. When I’m not studying for a test or taking a practice ACT exam you will find me on the tennis court. At New Trier I'm on the tennis team. I'm also involved in social service projects and DECA. The summer of 2014 will be my 8th at North Star Camp. There you can find me instructing tennis archery and windsurfing. - I would most likely bring these three things: An ipod, some toilet paper, and a compass. - Nothing comes close to the thrills of Glen’s Game at camp. A combination of capture the flag and steal the bacon that also incorporates a camper vs. counselor aspect, and has cabins competing for bragging rights. - Aang from Avatar: The Last Airbender, he has been my favorite TV character since I was 9 years old, and still is today. - Finishing the Canadian (a ten day canoe trip the oldest age group undergoes in Quetico Provincial Park). - St. Louis Cardinals, Rams, and Blues. - A Chipotle burrito with steak, guac, lettuce, and sour cream with a strawberry-banana smoothie to wash it down. - A tiger, the most majestic and ferocious animal. - I have some pretty good yoga and pilates skills. - Camp has impacted me in so many ways, and on so many levels that it is hard for me to write just a short blurb about North Star’s influence. The sense of community I have achieved at North Star (on and off camp grounds) has stuck with me since day one. North Star has become my home away from home and has helped me grow as a person. I have gained confidence, become more responsible, and learned about important life qualities such as sportsmanship, integrity, perseverance, and of course- friendship. NSC Gear for a Great Cause! North Star has teamed up with We Are Lions to put out some really cool new North Star gear with a twist. We Are Lions is an organization that partners with artists with disabilities and non-profits to raise awareness and money for great causes. These t-shirts were designed by Jeramy Woolsey, who has been a friend of my sister Jami for several years now through an organization called Best Buddies. Jeramy has cerebral palsy, but doesn't let that slow him down. He has worked at a restaurant in his hometown Champaign, IL for over 11 years now. Jeramy is a great self-advocate who loves to collect police patches and has made it to the state track meet in the Special Olympics several times. Having heard Jami talk all about camp, Jeramy was excited to design these shirts (short sleeve, long sleeve, and hoodies) for North Star campers, staff and alumni. The proceeds will benefit both Best Buddies and the Camp for All Kids Foundation, which will help more kids get to experience camp. Go to www.WeAreLions.org to get your gear now! My name is Mike Slakis and this will be my first summer at North Star. I have just finished my first year at the University of Illinois Campaign-Urbana. I am studying civil engineering and I am a member of Sigma Nu Fraternity. My hobbies include anything that will bring me into the outdoors. I love camping, fishing, hiking, climbing, shooting, biking, and water sports in general. 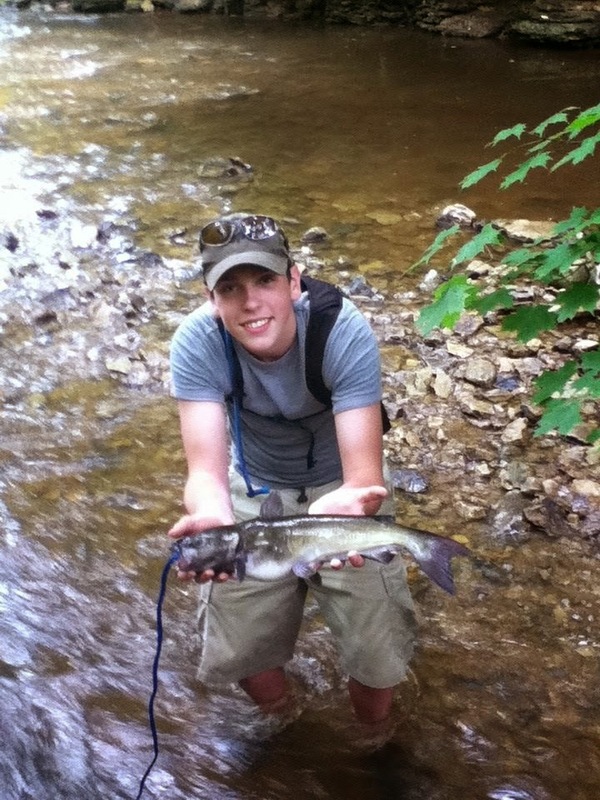 At camp I'll be instructing fishing and climbing. - My dream job would be to travel the world working for an engineering company designing buildings and bridges. - Ted Mosby from How I Met Your Mother. - I can find a way to catch fish as long as I have fishing line, including making hooks from sticks, finding my own bait and making my own rod. - I would bring a knife, fishing line, and a pan. -From Jeremy and Michael Palgen. I am in the same fraternity as them and I am also friends with their sister, Caitlin, from rock climbing at U of I. Jeremey is an old camp counselor, and Michael and Caitlin will be a returning to North Star this year. 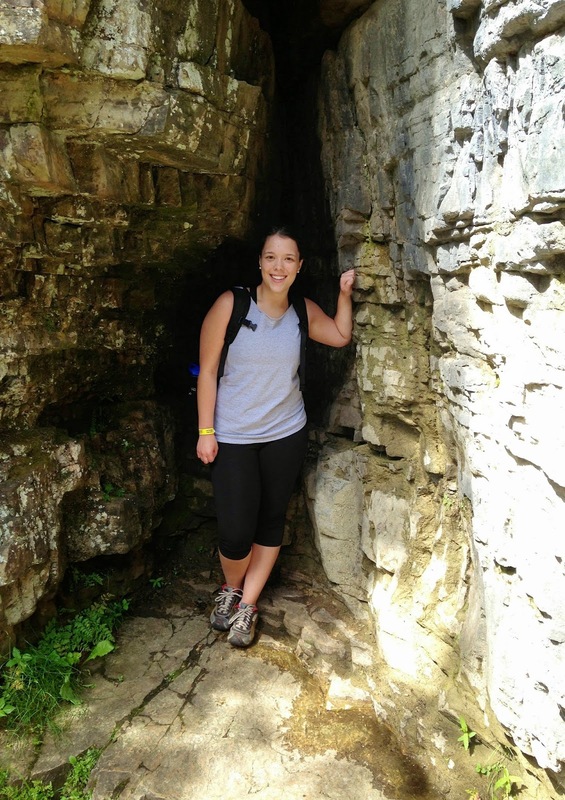 I applied to North Star because I love spending time with kids, I enjoy the outdoors, and I love teaching people. Though, my main interest came from the fact that the Palgens are some of the most genuine people I know, and if North Star is a family that the Palgens proudly say that they are a part of, than it must be quite a special place. - I am from Chicago, so my favorite sports teams are the Chicago Bears and Blackhawks. - I worked at a local Mobil Gas Station and took classes at a community college. - I was a camper at the Grove. Hi everyone! My name is Caitlin Palgen and this will be my second summer back at camp. I am finishing up my junior year of nursing school at the University of Illinois. I plan on becoming a pediatric nurse once I graduate. In my free time, I love to play sports! My favorites are volleyball, rock climbing, and softball but I love playing basically every other sport as well. When I am not in the health center at camp, I can usually be found instructing at the climbing wall or at the sand volleyball court. -Working at North Star has been such a great experience for me! I gained a lot of leadership skills and responsibility. I also learned to be completely, 100% myself. I gained a ton of lifelong friendships, too! Also, I want to become a pediatric nurse, so working as a health counselor at NSC this past summer gave me a tremendous amount of experience. It helped give me a perspective of what my career will be like working with kids for the rest of my life- and I loved every second of it! Now it's time to turn our attention to filling the duffle bags! It's possible that you've been shopping for camp gear since the holidays, taking advantage of sales after going over the camp equipment list like a hawk. On the other hand, you may be avoiding camp shopping like the plague, worried that you'll buy the wrong thing anyway. Shopping for camp gear doesn't take a Masters of Arts in Shopping but there are some things you should know. We're hoping that what follows will provide lots of tips to help your shopping process easy and also help you not have to re-purchase in future years. There's no need to overspend! We're going to be honest with you. Things get dirty at camp. Your child is going to outgrow stuff before next summer. Your child is going to lose stuff. The third one we can work to avoid but the rule when packing is that if you absolutely, positively have to have the item back in one piece at the end of the summer, don't pack it! This may apply to an expensive tennis racket or your son's favorite t-shirt that he was given by his late great grandfather. Most of the stuff that you pack for this summer will not fit by next summer. As high quality as a Mountain Hardware fleece may be and popular as a North Face hoodie is, there are other alternatives that are less expensive. We don't have recommended stores or clothing brands, but REI, Campmor.com and Sports Authority all have gear that will be great for camp. Brands like REI's in house line, Colombia and other well knowns are great quality and perfect for camp. Often you can head to your local independent camping store and find those high end brands at a solid discount. Stores are trying to clear out leftover winter gear or last year's line. Shop around and take advantage of sales! Most of what your son is going to wear at North Star is basic clothing. T shirts and shorts are our dress code. For camping trips there is other necessary gear, all of which we talk about on our main equipment list as well as our Canadian equipment list (for current 9th graders). A few times each summer kids will wear something a bit nicer (i.e. a polo type shirt and nicer shorts). The majority of what you pack is going to be from your son's everyday clothes. Where possible, use what you have instead of buying new! There are a few items that we don't recommend skimping on, which we'll address below. So here is where we really hope to help. Over the years, we've been able to see which specific products withstand the summer better than others, which are more effective, and which really pass the camp test. Below we give you the North Star seal of approval on what specifically to buy and what to avoid. This one is easy... a lexan or other hard plastic plate, cup, and utensil set, all stored in a small mesh bag. The above set was found at a chain sporting goods store for about $12. Here is a similar set for sale at Campmor.com. This is a set that should last a few summers...so long as the utensils end up back in the bag. What to avoid? Those silver metal cook kit sets that seemed to have 4 plates, 2 bowls, a small pot, and six other random pieces all held together by a nut and screw which inevitably gets lost the first time you open the set. We're minimalists when it comes to this one... go for the standard waterbottle. We like the Nalgene type 32oz water bottle. It's durable, easy to clean and doesn't have parts that are easy to lose. Add a splash-guard and you're ready to go. There are plenty of other brands, so don't feel like you have to buy a Nalgene (however they are virtually indestructible) A Gatorade style water bottle is great for camp as well. If your son is going on the Canadian (just finished 9th grade & is attending first session), we recommend buying two waterbottles. Lots of little pieces that come apart to clean the bottle. By the end of the summer, we find several of these style bottles without straws or the bite pieces, rendering the water bottle useless. The bottles also aren't as easy to clean as water bottles without all the pieces. Clean-up is also a concern for the Camelbak hydration backbacks. These are great for biking but not necessary for camp. This one isn't too complex, but we see two common errors. Not enough laundry bags and laundry bags that are too small. Campers need two laundry bags. When laundry is sent out, they need a second bag to start their next laundry load. If your son goes through lots of clothes, you may want to pack an extra laundry bag. As for laundry bag size, go for one that is at least 28"X38". Laundry bags look alike, and when laundry is returned to camp, there are over 170 bags of clean laundry. For kids to find their clean laundry it's important that you can label the bag in some way. We recommend, at a minimum, a solid bag (nylon or other material) where you can clearly and easily write your son's name. Mesh bags are hard to label and rip easily. There are lots of options here and lots of opportunities to overspend. Our main recommendation is to avoid the clunky ponchos. Especially on camping trips, ponchos are cumbersome and not at all wind resistant. What we really like is a rain coat shell with a zip out fleece liner. These are multipurpose. The fleece liner will cover your son's need for a light coat. The shell with hood serves as a rain coat. Zipped together it's great for cold days. Unfortunately by the time next winter rolls around, this is unlikely to fit, but if you've got a shell/liner from this past winter, you're set. Long gone are the days of packing your trunk or foot locker. They're expensive and not at all durable. They're bulky and have no give whereas duffles store easily when not in use and can take a beating. If you're buying new baggage, buy duffles. There are lots of duffle options out there and some of them are really expensive. Some guidelines. First, you'll likely need two duffles. As for size, something in the vicinity of 30" X 15" or bigger is a good starting point. Some kids bring lots of stuff, others not as much. One problem we do see is busted zippers on duffles. When people try to overpack a duffle and struggle to zip it shut, zippers will break. Make sure you get duffles with good zippers. The duffle should also pass your eye/feel test. If it looks or feels like the fabric will easily rip, go for something else. If you ask ten people their recomendations for hiking boots, you'll get ten different answers. 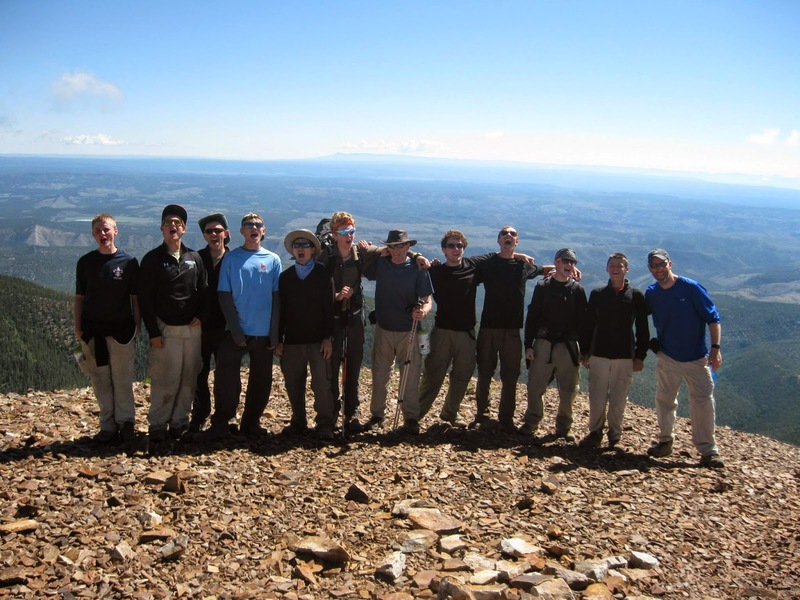 At North Star only kids who just completed 8th and 9th grades truly need hiking boots. The 8th graders go on a hiking trip to the Porcupine Mountains and the 9th graders go on the 9-day paddling and portaging trip to Quetico Provinical Park in Ontario. Again, it's unlikely that the boots you buy for the 8th grader will fit by their 9th grade summer, so don't break the bank! These trips often see some inclement weather and hiking on slick surfaces. Because of this, having a good gripping sole is very important. Lots of boots have Vibram soles, which are great. When choosing boots, we also tend to err on the side of good ankle support. Some people do need boots that provide more ankle support, so going with boots that rise above the ankle would be important if this is a concern. Waterproof boots are a bit of a misconception. To keep boots waterproof you have to spray them regularly with waterproof treatment. Waterproof boots don't breathe as well. If you step in a high puddle, feet get wet. Breathable boots will drain easier and dry quicker. To keep feet dry and in good shape, good socks are important (see below). Bonus Tip: Break in your boots! More likely than not, your son is going to have a fairly new pair of boots for his trip this summer. If the first time he wears them is on day one of his trip than he's likely to get some blisters and have some discomfort. Boots need to be broken in, so we recommend that campers wear their hiking boots on and off for a few weeks before they come to camp. Younger campers will need some type of shoes for rainy weather. This can be a hiking shoe or boot or a spare pair of shoes that can get wet. For younger campers, there is no need to spend a lot of money on hiking boots. This is one area where we'd spend a few extra dollars. Here we're speaking about our campers who just completed 8th and 9th grade. On the hiking trip and Canadian good socks are a must. Boots are going to get wet and feet take a lot of wear during the trip. Having hood socks is very important. Synthetic or wool socks are what you want. They dry quickly and really protect feet! On cold days, even when these socks are wet they keep feet warm. Campers in these ages will need socks beyond cotton socks! Cotton clothing takes a long time to dry and is uncomfortable when wet. Good socks are something that will last and are great for winter use. We recommend buying 2-3 pair for these trips. You don't need to go to high end camping stores to buy these socks but you also won't want to go to Target or Walmart, either. At a minimum, head to a sporting goods store for these. This is another item that you don't want to skimp on. There are lots of things to consider with sleeping bags, and our #1 recommendation is to stay away from sleeping bags with cotton/fleece lining. Starter sleeping bags used for sleep overs aren't appropriate for camp. When they get wet they take days to dry out. If you have a sleeping bag with a nylon lining, you're set. - Easily compressible. Sleeping bags should compress into a 12" X 18" stuff sack. This makes trip packing much easier. You can also purchase a compression sack which really help. As for the sleeping bag fill, the two main options are synthetic and down. Some people really love down. Down sleeping bags are warmer and they weigh less. Synthetic, on the other, hand dries much quicker and compresses easier. For our purposes, we would recommend a synthetic filled bag but there are also great down-filled sleeping bags. Bonus Tip: Unstuff your sleeping bag! Stuff sacks are meant to be used while on trip and when transporting a sleeping bag. While at home, however, a sleeping bag should be taken out of the stuff sack. If a sleeping bag remains in its stuff sack constantly it loses its loft and ability to keep the user warm. Store a sleeping bag over a hanger in a closet when it's not in use! Now about losing things... we'll follow up with another Preparing for Camp entry about the wonders of labeling. For now, good luck shopping and if you have any specific questions, email us at office@northstarcamp.com and we'll be sure to help you shop like a pro! Jacob Guggenheim was born in New York City. He moved to California in 1998 at age 6 but still remains a Yankees, Giants, Rangers, and Knicks fan. He took up tennis in late elementary school and played on his high school’s team. 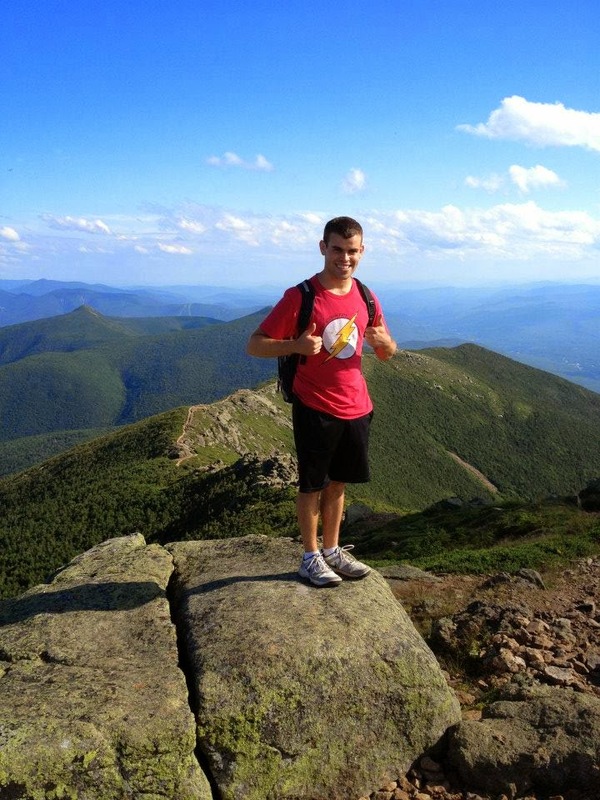 He has also done fairly extensive hiking with his brother Aaron both around the United States and abroad. 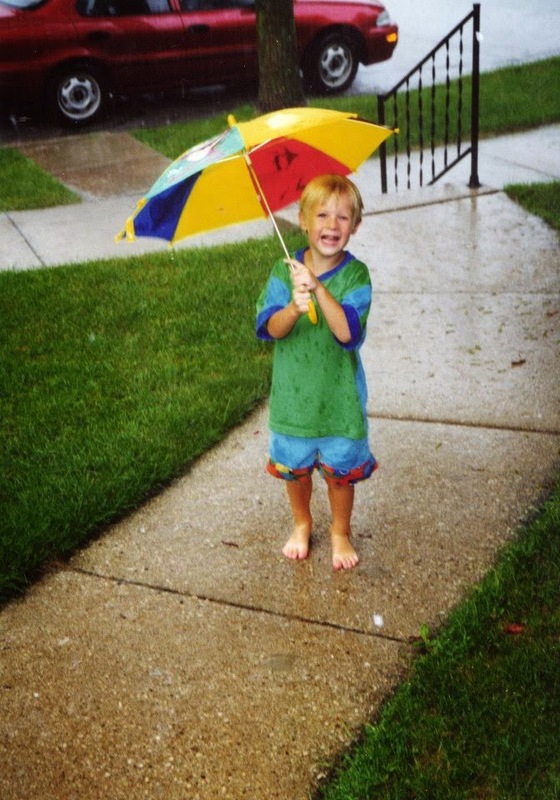 Jacob is currently a senior at the University of Illinois, Urbana Champaign and will graduate this coming May. From there he hopes to attend graduate school in mechanical engineering at either MIT or Georgia Tech. This will be Jacob's first summer at North Star and he'll be instructing tennis and swimming. - Working in research and development in BioRobotics at either a national lab or a progressive company. - I can solve a Rubik’s cube reasonably fast. A friend got really into it in high school and I begged him to teach me. - I loved Tom and Jerry so I would have to say my favorite TV character was Jerry Mouse. - I would bring a hacky sack (something I would like to get better at), a book (something nice and long like 100 Years of Solitude), and a nice knife (got to practical with the third item). - Learned about it through a previous camp counselor Michael Palgen. I applied because truly feel that sports and the outdoors have helped me immensely in life and in academics. And, more simply, they are extremely fun. North Star offers me the opportunity to combine my love of teaching with my passion for sports and the outdoors. - Easy. New York Yankees, New York Giants, New York Knicks, New York Rangers, and Everton. - I worked at the equivalent of a Chipotle (called Mad Mex) while studying abroad in Australia. I can roll some fast burritos. - I was an undergraduate researcher at the Harvard Biorobotics Lab with Professor Rob Howe. I worked to make a six-axis force torque sensor from MEMS actuators that was both rugged and cheap. - I attended a tennis camp (CVTC) for a couple years during middle school. I also grew up going to YMCA or SkyHawks sports camps and a local state park camp. Hi everybody, my name is Ethan Handler! I will be returning to North Star for my 7th summer. I live in Northbrook, Illinois, and am a current junior at Glenbrook North High School. I am on GBN’s varsity tennis team, playing doubles. I’m also on the state-bound math team, am a founder of a community service organization, and take a yoga class once a week. I love the outdoors, and try to get outside whenever possible. 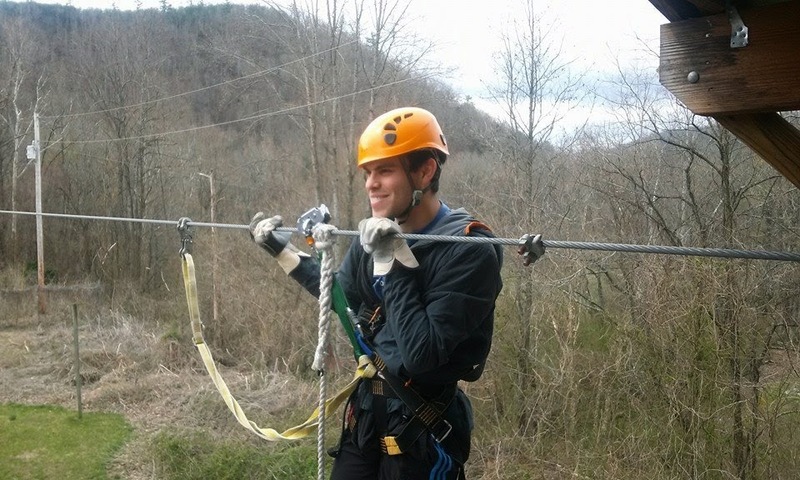 At camp I will be instructing climbing and tennis, two of my favorite activities to do. - Dash (my dog), rope, and a compass. -My 2012 Canadian trip to Quetico National Park. It was one of the best experiences. It taught me how to work as a cohesive team and push yourself more than ever. - The St. Louis Cardinals. Definitely not the Chicago Cubs. - Wildfire chopped salad and BBQ brisket. - I would be a giant panda. Pandas are really fun, but their massive size and teeth make them a deadly predator. Who wouldn’t want to be a panda? - And Then There Were None, by Agatha Christie, and Angels and Demons, by Dan Brown. - I can wiggle both of my ears. - Camp has taught me a variety of things, including teamwork, how to live with fourteen other messy guys, how to survive in the outdoors, and hard work. At North Star, I can simply be myself. Above all, though, camp has fostered friendships and allowed me to make memories that would otherwise not exist for me. I truly treasure all of the time that I spend at camp. Richelle was born and raised in the mountains of Upstate New York. A place where her summers consisted of hiking and biking the local trails and tubing down the Hudson River, while the winters were full of cross country skiing, snowshoeing and late night bonfires. Her imagination and creativity was born with the help of her older brother as the two of them spent their days outside inventing new ways to occupy their time in the backyard. She continued her art interests through high school taking every class offered. Now as a freshman at American University studying International Relations, she has continued her creativity by continuously decorating the walls of her dorm and helping to make crafts with the girls that she nannies in the afternoon. With her ability to make anything out of household materials and her creative mind, Richelle will be the Director of Arts and Crafts this summer. She will focus on helping the campers to bring out their inner Picasso. - If I were to work anywhere in the world, I would choose to work in Chile teaching at a bilingual school. I would help the young children with both their Spanish and English skills. - A skill that I acquired during a volunteer trip to Honduras, is the ability to make cement with only sand, water, a bag of dry cement, and a shovel – no power equipment is necessary to build a school. - Being a resident of Washington DC, Scandal’s Olivia Pope has become a favorite. - With the unfortunate luck of being stranded on a deserted island I would first bring with me a guide book on how to survive on a stranded island, a piece of flint because fire is the key to survival, and finally my copy of Pride and Prejudice, as it is one of my favorite reads and being on an island can begin to get lonesome. - I learned of North Star camp from college floor mate and friend Michael Berger who will be returning to camp this summer as a counselor. Because of the stupendous stories that he regaled me in about his past summers at camp and the opportunity for a new crafty adventure I found myself applying to spend the summer at North Star. - With my father growing on the coast of Maine, I was taught from a young age that New England ran in my blood and it was only right to become an avid fan of the New England Patriots, Boston Red Sox and the Bruins. - I spent a summer working at the local pizzeria. I spent my time working in front of a hot oven on those July days answering the phones and taking orders. I am now a wearer of multiple burn scars that accumulated from being five feet tall and taking pizzas out of an oven that was twice my size. - The summer before college I spent my days as a nanny and enjoying family and friend time before I had to head down to the nation’s capitol for school. - I have not had the opportunity to attend or work at a summer camp before, but I am more than exited to gain lots this upcoming summer. I do however have extensive experience working with children through volunteer work at the local children’s theatre, playground summer program, and an afterschool tutoring program that I founded during my junior year of high school. 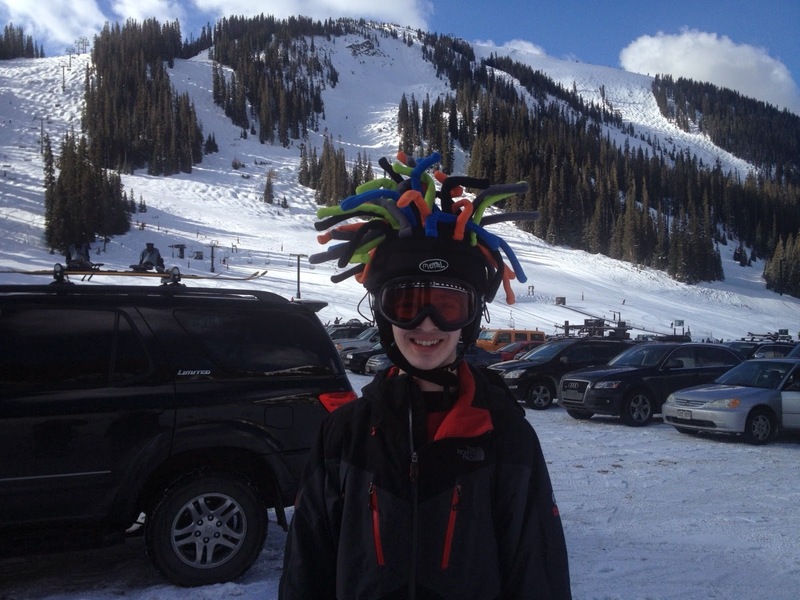 Hi, my name is Ari Weil, and I'm a senior in high school at the Denver School of Science and Technology. I'll be attending Pomona College next year and studying international relations. Here in Denver, I'm a co-captain of my school's Frisbee team and Vice President of our National Honors Society chapter. I also write and do graphic design for my school's comedic newsletter. At camp you can find me down on the lake teaching canoeing, out on the trail teaching biking, or on the athletic field playing some Frisbee.This will be my ninth summer at camp and I'm so excited to see all the returners and meet all the new campers and staff! - If I were stranded on a desert island, I would bring a hammock to relax in, a net/something to catch fish with, and a book and pen to journal with. - Definitely my Canadian trip during my last year as a camper. Canoeing around Canada with McCabin 2011 was tough, but also a ton of fun. We all grew closer together over the ten days we spent up north. - A nice grilled chicken sandwich and some sweet potato fries. And some Norske Nook pie for dessert. - I love researching military history and I actually just finished writing my thesis on how to improve the Army's officer education system. I'm also a volunteer housebuilder during spring break, and I've learned that I can hammer and wire electricity pretty decently. - This is a difficult question to answer because camp has impacted me in so many ways, but the most prominent is that it's taught me to go out of my comfort zone. Whether it was learning to canoe down rapids or be an active participant in a cabin community, I'm now more confident in my ability to jump into new, uncertain situations. Hi, my name is Mandy Sullivan and my wonderful husband is sending me to camp for my 13th summer at North Star Camp. During the winter I love to cross country ski and visit Hayward often to ski on the Birkie trail. I have completed 13 American Birkebeiner 50K races...all because I saw a race bib in Leb's office when I first started working at NSC. During summer I love to be on the water doing most anything but especially swimming and water skiing. I also like to run and bike. I will be the waterfront director. My favorite days at camp are the first day of each session. I get to meet ever single camper! I have ordered warm water for the swim test (not sure if Andy will pay the heat bill for that??) In the off season I am pre-k thru 12th grade speech therapist for a small school in southeastern Wisconsin. - a life link bracelet (the para-cord things), a machete, and Melo (my dog). - I have a ton of best memories at camp and don't know where to begin. I learn something every year from the kids and staff. - Green Bay Packers of course! - A cat- they are independent and get to sleep in the sun whenever they want. - Fall to Grace by Casey Kerry about 2 best friends from northern MN and the Pokey Little Puppy. - It wouldn't be a secret if I told you. 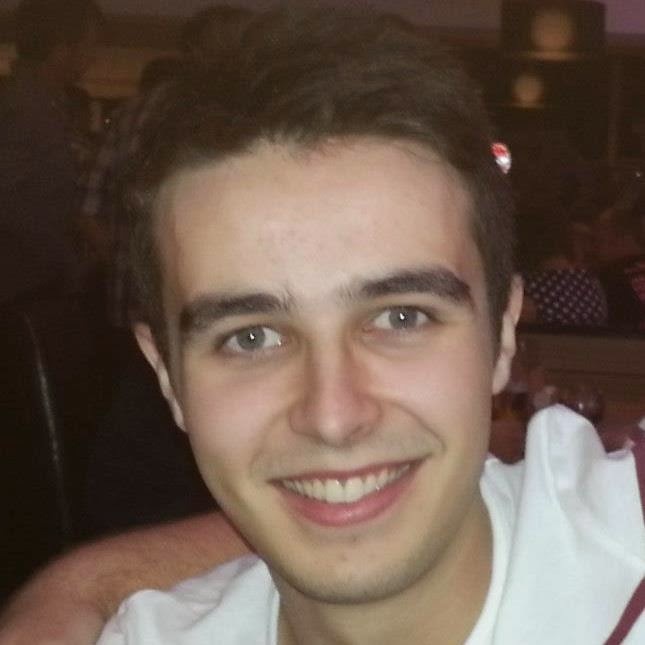 Hi I'm Mark, I am 21 years old and I come from Yorkshire in England. This will be my first year at North Star I will be swim teaching/ assisting rock climbing this summer at camp! I've never been to America but I've traveled around most of the UK and Europe. I'm currently at The University of Hull studying Arts and Humanities and I have a few part time jobs including Life guarding and Swim Teaching. I have taught karate since the age of 14 and have run my own club since November 2012. I also I like reading, swimming, going to the gym, hanging out with friends, hiking, films. . . all sorts really! - Probably some kind of travelling teacher, combines two things I love to do! - I'm a 3rd Dan blackbelt in Karate and have my own club. I've studied karate for around 13 years, it's a big part of my life! - Hmmm, gotta love a bit of Sherlock! I think it's quite big in the States as well? - I've always wanted to travel and visit America and some of my friends had done and recommended it so I decided to apply! The camp has lots to offer and has earned a fantastic reputation, not to mention working outside in the fresh air on a lake, so I jumped at the chance to join the staff! -Noteworthy would probably be my swimming and Life guarding jobs, I've been in the leisure industry for 5 years now and I now have the chance to work abroad because of it. Random. . . not really had any random jobs! I used to have a paper round but I think most people have done that! Menial would be when I worked at a stadium, used to come home smelling of watered down beer, fast food and strong cleaning chemicals. . . long hours and minimum wage, not good! - I worked most of to be honest. . . had a few day trips out around the UK and went to Spain in October to avoid the tourists but apart from that I was mostly settling into my new job and house sitting for my sister whilst she was away travelling! - I used to be in Cub Scouts (you might know it as Boy Scouts) and we had a couple of camping trips to forests and woods, I also did a bit of orienteering, survival, hiking and climbing with school when I was younger. It's a beautiful Sunday and with the month of May less than two weeks away, getting ready for the summer may be creeping into your mind. Whether you're a first time camp parent of a seasoned veteran, we're here to help. As we lead up to the summer we're going to post a series of blog entries, with everything from tips to help you shop to advice to help your son get ready for the summer. We're going to lead off with a series of basic tips, some of which we'll expand upon in successive blog entries. Between Andy, Vickie, Leb and Sue and myself, we have spent a few years at camp and we've learned a few things about what works...and what doesn't. Below are some tips and practical advice to help you prepare for the summer. Take a few minutes to read over these pointers. We believe that they'll help you through the process of getting ready for the summer and will set your son up for success at camp! Being up front and open on medical and personality forms will ensure that we can provide the best summer possible for your son. All campers come to camp with a clean slate, but that doesn’t mean that it won’t help them to make us aware of issues that he’s been dealing with. We guarantee that this information will be shared only with those that need to know it. If you haven’t yet watched the Bob Ditter video on the importance of camp forms, we highly recommend it! Label everything. You can either write it in or order labels from Mabel’s Labels or Stuck on You. And when you label things, remember your son likely isn't the only "Andy R." and there are multiple campers with the initials "R.S.". Use your son's first AND last name when labeling. We're thrilled to have Olly Cayless back for his fourth summer at North Star. 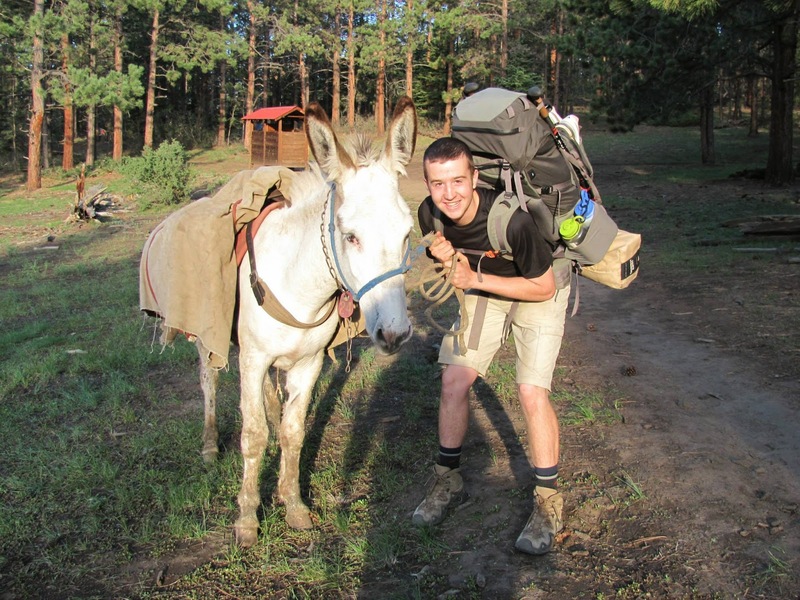 Olly comes to camp all the way from the Brecon Beacons national park in Wales, UK. 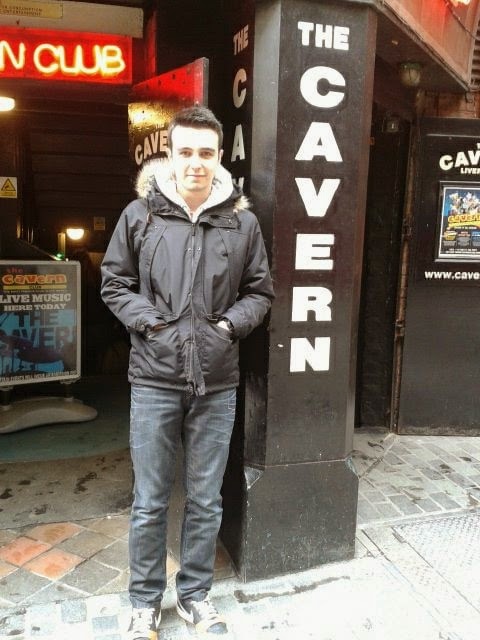 He's just finished his degree in exercise science at Cardiff Metropolitan University and he's been able to utilize his camp experience in his studies, including doing some camper surveys. At university he's involved in the waterpolo team and he also acts as a student representative. Olly is on our Leadership team, serving as one of our village directors. He also instructs sailing, climbing and windsurfing. - A knife, A hammock, A fishing line. - I would be a monkey so I could climb anything. - I am a grade 4 level triangle player. - It has given me confidence to be myself, become a leader and meet some fantastic people. Hey guys! 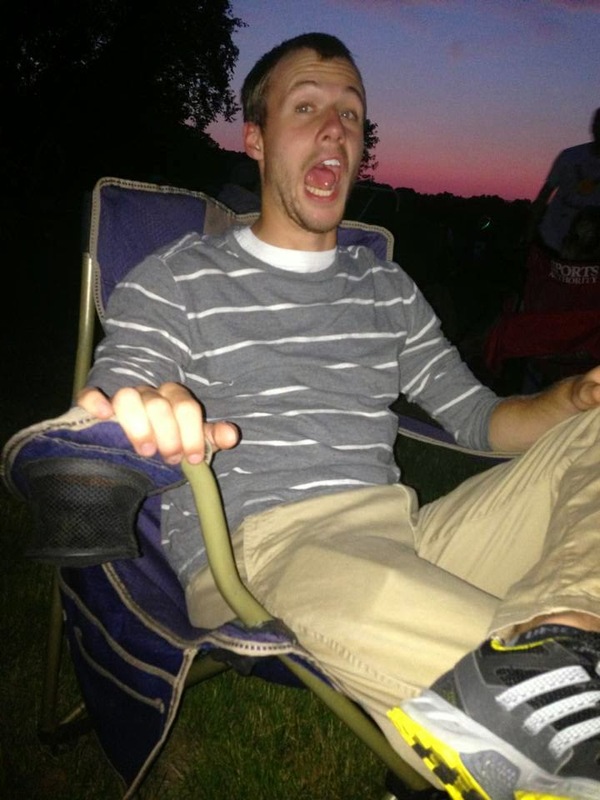 My name is Jonah, I'm from Highland Park Illinois, and this will be my 4th summer on staff and my 10th overall at camp. I am currently a freshman at the University of Illinois studying computer engineering. On campus I play for the club volleyball team, where we just won the national championships. At camp I primarily teach climbing, sailing, and waterskiing, but you can also find me on the basketball court, volleyball court, or down at swim point. I can't wait for camp to start! - I would bring a solar powered device that could play my music library, the pillow I made my J-2 year, and a deck of cards. - The Canadian trip during my Pine/Manor summer, where I got to really bond with everyone in my cabin as we braved the wilderness for over a week. - I can solve a Rubik's Cube. Hi! My name is Michael Palgen. I'm from Manhattan, Illinois, which is about an hour south of Chicago. I'm in my sophomore year at the University of Illinois where I'm studying Actuarial Science. There I'm involved in my fraternity, Sigma Nu. I enjoy playing pick-up games of basketball and sand volleyball in my free time. This will be my second summer at North Star. At camp, you can find me on the basketball courts or at the rock wall. 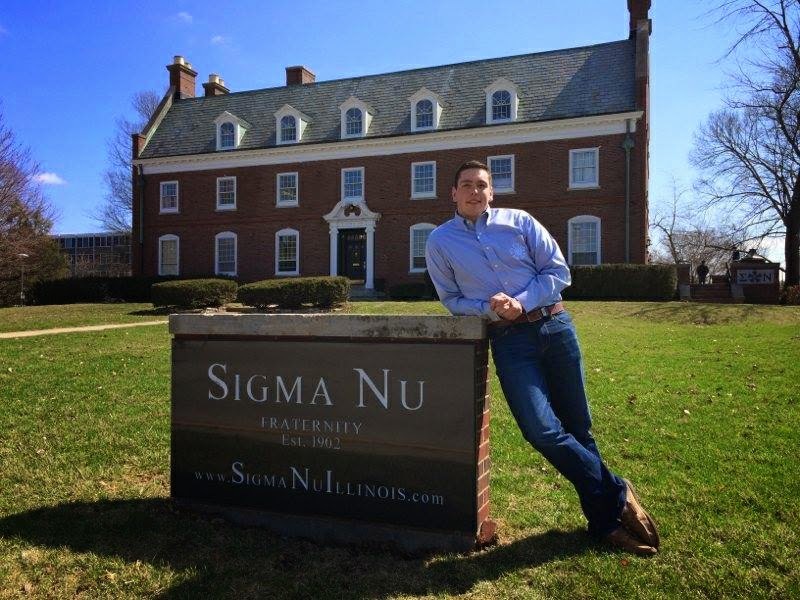 Editor's Note: Michael will have some extra pressure this summer as he'd been our chief recruiter at the University of Illinois. He's done a great job helping us land a few great new staff members! - Bear Grylls, matches, and a knife. - Hearing Simon Crane tell me he passed the swim test after saying he would never be able to do it. - Bears, Bulls, Cubs, and the Fighting Illini. - I can shake my eyes. - Camp has taught me the importance of putting technology away for a while and really enjoying the outdoors. It has also helped me realize that the only person that can decide what’s “cool” is one’s self- don’t let other people shape your thoughts and opinions. I also learned how to be a better leader and role model. 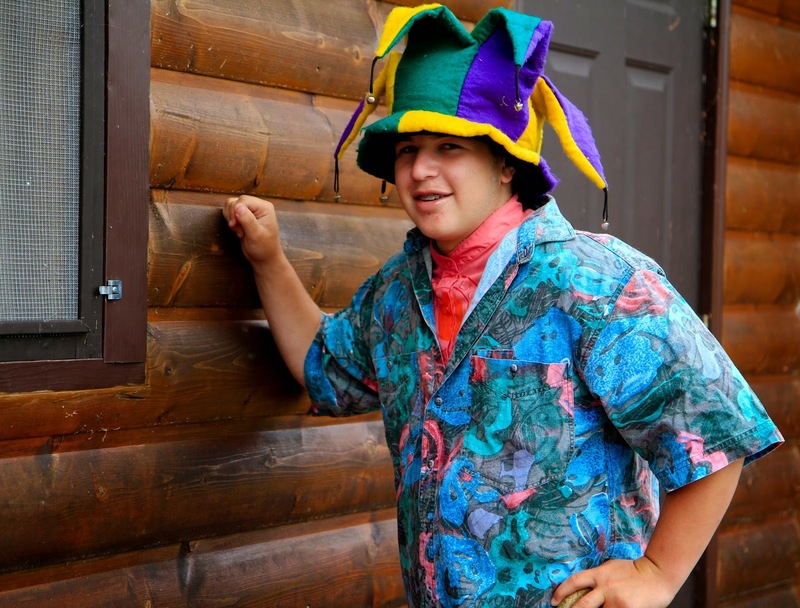 Jacob Lehr returns to camp for his tenth summer at North Star. A native of Ohaha, NE (Go Big Red! ), Jacob is wrapping up his sophomore year at the University of Southern California in Los Angeles. There he's studying International Relations and Economics. Jacob also leads hiking and camping trips their outdoors club and he tutors and mentors kids from the surrounding area through an organization on campus. At camp Jacob teaches tennis, windsurfing, disc golf, golf, and waterskiing. - Bananas, a Stihl chainsaw, and Siri. - Building a fort out of downed trees on a little island during our Canadian to protects us from the wind and rain, and drinking ALL of our hot chocolate. - I’ve got a pretty good spin serve in ping pong. - Because of camp, I have learned how to work and live with others, and that it really does matter who you surround yourself with. I learned to be flexible with any circumstances (a positive attitude helps), and that fun is often underrated. I am a more outgoing person, I gained a love of the outdoors, and figured out that it’s best not to take yourself too seriously. Chip Kass is a graduating senior from Highland Park who is coming back to camp for his Big Ten! He will be a freshman at Wesleyan University next fall. At school he is involved in theatre and other clubs, while at camp he instructs on the Sailing, Fishing, and many other programs. Fun Fact: His dad's Pine Manor year was Lou's last year owning NSC and his CIT year was Leb's first year owning NSC. Chip's Pine Manor year was Leb's last year owning NSC and his CIT year was Andy's first year owning NSC. - HUGE comic "nerd"... I dare someone to know more about Marvel Comics than me. - NSC truly is my home away from home. I have spent more than a full year of my life there (71 weeks to be exact) and I keep going back because it is a place where I know that I can be myself. 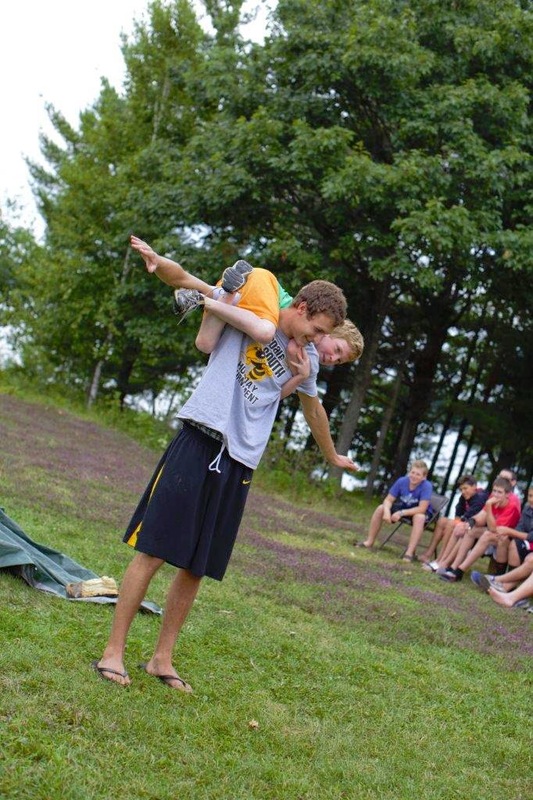 I feel safe to have fun at North Star in a way that only an isolated all-boys camp in Northern Wisconsin can offer. Hi there! My name is Nathan Margrett and I hail from Brookfield, Wisconsin. As a sophomore at the University of Wisconsin- La Crosse I am pursuing a double major in Archaeological Studies and Psychology with an emphasis in At-Risk Child and Youth Care. When not writing papers on extremely esoteric realms of archaeological theory I enjoy hiking the amazing bluffs located around campus in addition to mentoring/tutoring at a local grade school. My camping background is heavily within the Scouting program so the North Star experience will be a new and exciting one for me. Rumor has it I will be working in the climbing and pathfinder areas, as well as lending a hand down at the waterfront this summer. See you then! If you were stranded on a deserted island, what are the three things you'd bring? - Hugh Laurie, better known as Dr. Gregory House from the TV series House M.D. is one of my favorite television actors of all time. He's also slated to appear in an upcoming Disney film entitled "Tommorowland," which I'm pretty excited about. - I am a believer in the potential positive impact of organized sports on youth development and have had amazing experiences coaching basketball, wrestling and track teams. I certainly hope that I will be able to stay involved in youth athletics regardless of my eventual occupation. 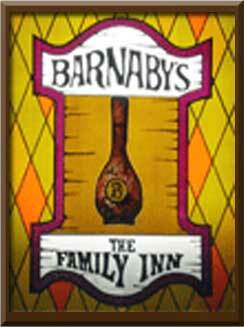 - I am a born and raised Wisconsinite, cheering on the Green Bay Packers every step of the way. I also enjoyed watching the Wisconsin Badgers deep run in the NCAA tournament this season! Park, home of the Milwaukee Brewers. I’ve gotten to meet a lot of the players and coaches; however we aren’t allowed to ask for autographs while on the job. - The most exciting experience I had last summer was a 10-day kayaking trip among the Apostle Islands in Northern Wisconsin. I was chaperoning a Scouting trip and all of the guys had a blast! - I met Dan at a Summer Job Fair on the UW- La Crosse campus and was very impressed by the sense of community and the values behind North Star. I knew that I wanted to spend the summer at a camp and further interviews and discussion with North Star convinced me that it would be an awesome opportunity. I’m looking forward to it! - My involvement in the Scouting program has given me the opportunity to participate in, as well as lead, numerous activities and camps for youth from the ages 6-18. A lot of my involvement has been connected to Camp Long Lake, a Scout camp located in Saint Cloud, Wisconsin. Between summer work, sports and scouting obligations I have never had the opportunity to experience a camp setting quite like North Star. It’ll be great! Hi, All. My name is Spencer Reed, and this summer will be my eighth summer spent in the Northwoods of Wisconsin and at North Star Camp! I live in Los Angeles, California, and I am a junior at Loyola High School. Apart from dealing with the stress of junior year and anticipating the fun that is college applications, I write for my school newspaper and hope to be an editor next year, I also row crew for MAC rowing, and our season is in full swing as train in hopes for a spot in the USRowing Youth National Championships, and I volunteer for a inner-city school in Los Angeles on Fridays. At camp, I can be found at the tennis courts, and for some reason, waterskiing, but I am by no means complaining. I also have been refining my softball pitching skills, so I hope to spend some time on the diamonds this summer. Every day, I am more excited for the summer to start, and I can't wait to see you all in a couple months. - If I was stranded, I'd definitely bring some sunscreen (the LA sun and I don't cooperate to well), a straw hat, and a hammock. - My favorite memory from camp happened right after The Canadian. After finishing the trip, we, the cabin of Manor, all were hanging out by the lake, and we had no worries what so ever on our minds. There has just been no time where I'd been more peaceful and at home in my life. I was just relaxing with my best friends and laughing. - A Nice, BIg Quesurrito from Chipotle with white rice, chicken, salsa, lettuce, and black beans. - No doubt I would be a pig; you can eat whatever you want and personal hygiene is not an issue. - I can bark really well and I'm good at catching food in my mouth. - Camp has been the greatest thing to ever happen in my life. I have built life-long friends, found a place to call home, learned to express myself, and develop so many skills. I can't possibly imagine my life without North Star, and I hope I never have to imagine a life without it. I am currently finishing up my junior year at the University of Wisconsin-Madison, where I am studying History, Environmental Studies, and African Languages. More importantly, I am now working with a few environmental activist groups and law firms here in Madison, raising environmental awareness on campus and starting to increase the student involvement in combatting the environmental degradation happening right here in this great state of Wisconsin. As a side note, I am studying for my LSAT because Law School is just on the horizon. I'm a native of Racine, Wisconsin, but I've lived all over the globe. My family has spent time living in Japan as well as Dubai. This will be my 2nd year at camp and I'll be instructing ecology and tennis. Favorite special program at camp? Your best memory of camp? - I would be an axolotl (a Mexican salamander). - I am a novice ghost hunter. - Working at Camp North Star affirms the importance of a cooperative, encouraging, and safe community, and my experience here has strengthened my commitment and desire to foster the same values everywhere I go. Hi, my name is Michael Berger. I am a freshman at American University In Washington DC and am double majoring in Journalism and Political Science. I am originally from the great city of Chicago, Illinois. While in DC, I am interning at the Democratic National Committee. I am very involved in my campus’ chapter of Students Helping Honduras, and am a writer for the campus newspaper. This is gong to be my eleventh summer at North Star where I will be a cabin counselor, and will instruct Riflery, Arts and Crafts, and Theatre! -My favorite camp memory was my Canadian trip during my Pine Manor summer. During this trip, I was able to get to know my cabin on a deeper level, and was able to work together with a group to overcome the adversity that comes with the trip. -A piece of carrot cake. -It is almost impossible to list everything that camp has done for me and how it is impacted me. As a shy nine-year-old kid, camp gave me the confidence and social skills to be able to build relationships that I still value to this day. As I grew up, I learned about keeping these relationships and becoming a responsible member of a group society. Camp also taught me how to overcome diversity and how to live with others.